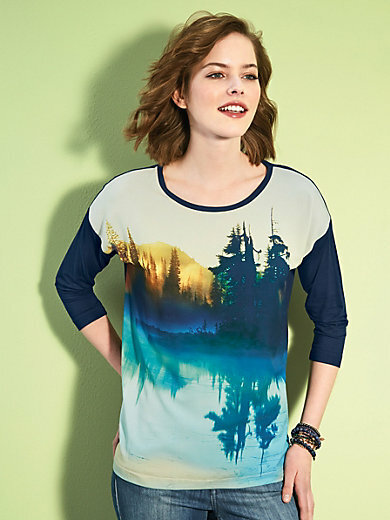 Top by Looxent with 3/4-length sleeves and extended shoulders. The woven front made from 100% polyester features a beautiful LOOXENT print "Blue Nature". Sleeves and back made of super-stretchy jersey in 92% viscose, 8% elastane. Length approx. 26ins. The top is machine washable.